A lot of people are trying to go paperless, but sometimes it’s still essential for people to be able to print documents. A lot of people try to avoid printing documents, but not for the reasons that you’d think. A lot of people have perfectly functional printers, but they don’t have the toner they need to be able to print it. You know that there’s a problem with the toner cartridge industry when you can buy printers that are less expensive than the replacement cartridges needed to re-fill it. 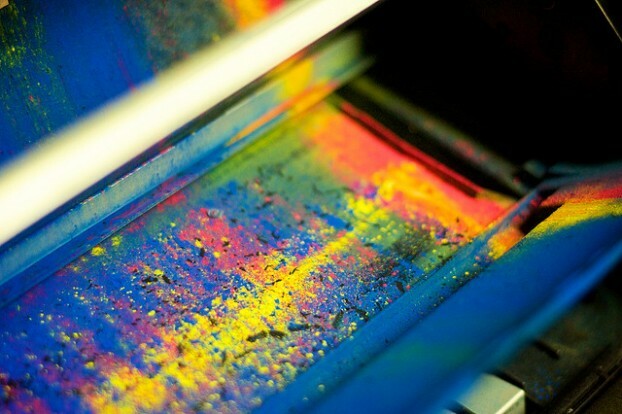 Printer cartridges aren’t just expensive they’re also wasteful and bad for the environment. There aren’t a lot of people that are aware of what the problems cartridges can cause, but once you find out the facts about them you’ll be looking for more environmentally friendly alternatives to help you print. If you own a computer and a printer you know how fast you can go through toner cartridges. According to the eco-friendly recycling company EnviroSmart, people are tossing out cartridges faster than they’re buying them. They estimate that almost 8 cartridges are thrown away every second in the United States alone, and that 70% of used printer cartridges throughout the world are currently being thrown out. There are a lot of reasons why used cartridges are bad for the environment. For one thing the cartridges are made out of plastic. Plastic is a petroleum based product that takes thousands of years to properly decompose, and with millions of them getting throw out each year more and more of them are piling up in landfills. The toner they’re made out of also isn’t made out of environmentally friendly material. Chemicals in the toner, the gold and palladium that allow the printing to work and all that plastic consumes vast amount of resources. Some people estimate that each discarded empty laser printer cartridge adds approximately three pounds of waste to our landfills, and that it takes about three pounds of raw materials to manufacture new ones. It’s possible the recycle old cartridges, and remanufactured or recycled cartridges are just as good as new ones. When you buy recycled cartridges at a slightly cheaper price you are not sacrificing quality. You’re saving your money because money was saved by the companies remanufacturing this product, and they pass their savings on to the consumer. Despite the fact that they’re easily recyclable, a lot of people choose not to recycle them. Studies show that only 20%-40% of empty cartridges are recycled, which means that the vast majority of them will end up in landfills. Companies and people who are worried about the environment have take pro-active steps to be able to reduce the amount of cartridges in landfills. Hewlett-Packard (more commonly known as HP) are one of the largest manufacturers of toner cartridges in the world, and they have a massive recycling initiative underway to get people to recycle their products. Yoel Wazana is an entrepreneur who took it upon himself to find a way to efficiently remanufacture used toner cartridges. As you can see the environmental problems caused by cartridges aren’t solved, but people are working hard to be able to solve them. Find out where you can recycle old cartridges by you. Carolyn T. is a journalist with an interest in helping the environment.